Today I'm sharing 3 casual looks for fall with items that I have been wearing on repeat. Each of the 3 tops I'm sharing I have in multiple colors because they are so good. My favorite thing to look for in a top lately has been length. 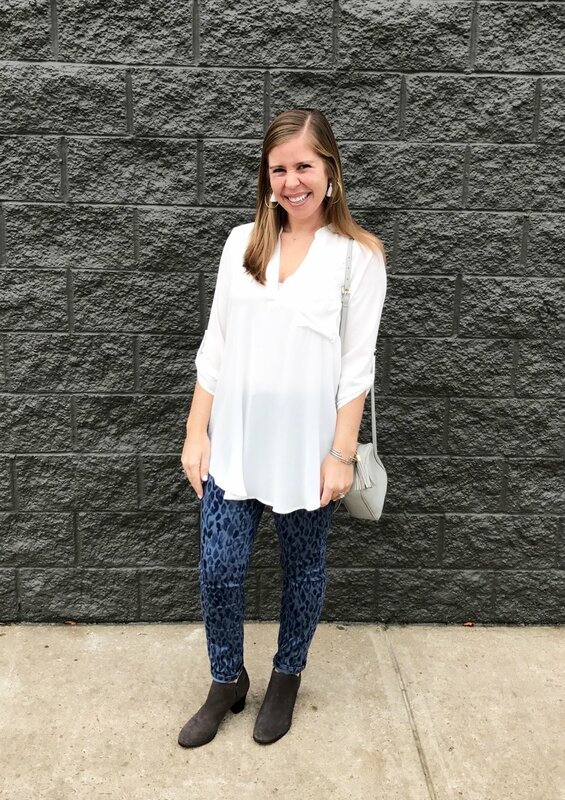 Anything I can pair with my favorite black leggings, olive moto leggings, or faux leather leggings (all of which are high waisted) is a win in my book! In Southaven, Mississippi, I don't have too many reasons to get too dressed up, so all the pieces included in these casual looks are pieces that I get so much use out of. They are all super comfortable and easy to throw on and go! Plus, most pieces are very reasonably priced. All of the tops are under $30! I also have and love this top in green! It is SO soft and comfortable! I have shared this top several times. 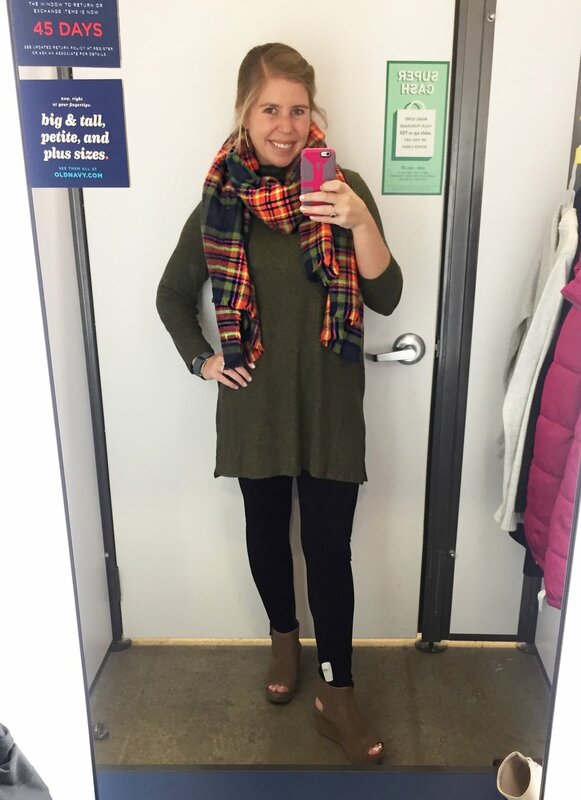 I have it in 9 colors because it is the best layering tunic for any season! And now that it comes in a luxe material, it is even more comfortable! I have this tunic in black and white, and it is the perfect top to dress up or down! You can find me in many of these pieces (or the other colors that I have) quite a few days of the week. Do you buy multiple colors when you find something you love that is reasonably priced?? My mom and I love to do that! Thanks so much for reading! Have a great day!